Before we begin though, it's hot out and I'm sure you're worn out from all the blog hopping - so I must offer you a treat! And I think it should be chocolate! Please help yourself to a Frozen Chocolate Mousse. 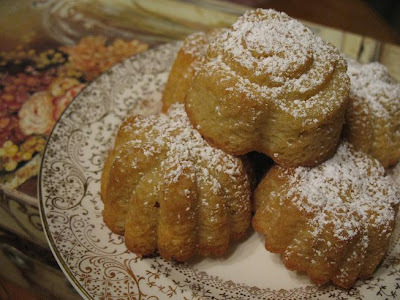 But if you would rather have a Powdered Sugar Pound Cake, I won't be offended! Since so many of us are not attending the Blogher blogging conference in Chicago, we are joining in all sorts of parties! 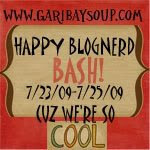 I'm co-hosting #pityparty09 on twitter (one more session on Saturday at 12 central), joining in the Happy BlogNerd Bash at Garibay Soup, and rockin' at Blog Hop '09 at Pensieve! 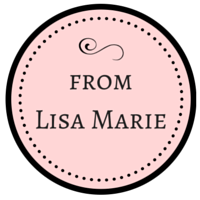 My name is Lisa and I've been happily blogging away for over a year now. Obviously, I love chocolate! I may have mentioned it a few times in my 100 Things. But my blog is not just about chocolate; it's a place to take a little break from your busy day. When you stop by, I want you to escape from the world for a few minutes and enjoy a yummy treat, laugh at a funny story, gaze at a pretty picture, make a new friend, and find your smile! I want you to be reminded of God's blessings all around you. I like to talk about tea on Tuesdays and chocolate on Fridays. In fact, I have a Chocolate Friday post today! I enjoy linking up with memes whenever I can and I have a thing for hosting theme weeks. My most recent one was Cake Week. Hey that apron looks familiar! In fact I have one JUST like it hanging in my kitchen! LOL. Big I'm a fellow chocolate lover just like you and that's probably one of the reasons we get along so well size hugs to you! mmmmm....frozen chocolate mousse for breakfast? now that's the way to start the day. Love the blog - given my love for chocolate, I'll be sure to visit again! meet you. Any chocoholic is a friend of mine!! Coincidence that both of our bloghop posts have chocolate in the title? I think not! Always fun to stop here for some chocolate delights. Have fun blog hopping. Mmm.. that frozen chocolate mousse looks so yummy! That frozen chocolate mousse sounds wonderful. We are supposed to be really hot today and tomorrow. Ohhh, the treats on this page are just mouth-watering! Stopping in via Blog Hop '09 to say it's nice to "meet" you (and see all the chocolatey goodness your blog has to offer!). 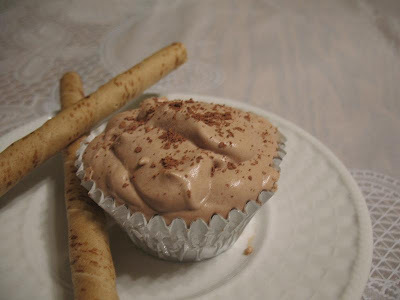 My husband thinks I'm the only weirdo who puts virtual food on my blog, especially chocolate. Glad to see yours! My pity party starts later this evening, after the kids go to bed. You've convinced me! 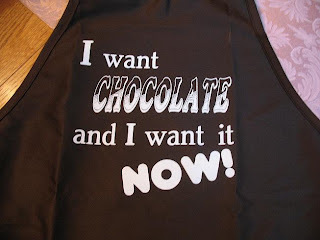 I WANT CHOCOLATE NOW! 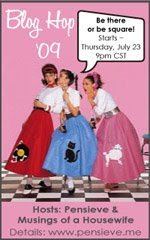 Stopping by for BlogNerd Bash and celebrating my birthday too.! ps Hopefully my partner will stop on the way home tonight and pick up a chocolate cake. YUM! That mousse looks amazing!! You're right...a part is just not a party without chocolate! Hey there! I'm stopping in by way of twitter and the Blog Hop and I have to say, you're absolutely right that no party is complete without chocolate. I am really enjoying looking around your blog and have decided to subscribe! Hi, I'm popping over from the Blog Hop. A little chocolate can make any situation look a little better. The powdered pound cakes - mmmmmmmmmmmmmmmmmmmm. I suppose that enough mm's, but add some strawberries and you get mmmmmmmmmmmmmmmmmmmmmmmmmmmmmmmmmmmmmmmmmmmmmmmmmmmmmm. Stopping by via the blog hop to say hello! 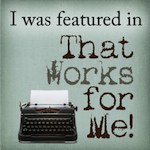 Your blog is my new favorite place to be. I love love love chocolate. I can't wait to try some of these. Oh yeah I'm stopping over from the Blog Hop. Girl, your blog makes me so hungry!! Thanks for stopping by mine and I do hope you will check out the "Messy House" devos ... they were so fun to write. In fact, I'm feeling a second round of that type of devo running around in my head ... maybe "Finding Jesus in the Car Line" or something about getting back into the school year routine. We shall see ... meantime, I had to follow you because I always follow the chocolate!! Stopping by from the blog hop to say hello. I love chocolate!! Just stopping by from the Blog Hop! you have no idea how much i want that frozen chocolate mousse now! 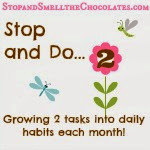 stopping in from blog hop!